Business, IT leaders honored for their work to develop outstanding synergies between organizational needs and IT execution. The Insurance Technology Association (ITA) announces that Lisa L. Keysar and Gary H. Ouellette, executives with Union Mutual of Vermont Companies, are the winners of the first ITA Bridge Award. The award was presented at ITA LIVE, the ITA’s inaugural event held at the Fort Lauderdale (Fla.) Marriott Harbor Beach Resort & Spa. 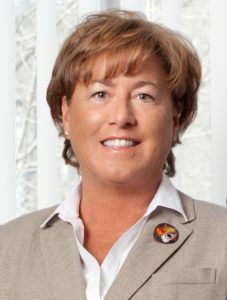 Keysar serves as senior vice president of client services and Ouellette is the senior vice president of operations for Union Mutual of Vermont. The two worked closely to develop an effective, responsive, and sustainable means to assure the insurer’s business IT requirements are identified, prioritized and met. In 2013, Union Mutual of Vermont recognized the need to quickly satisfy an ever-growing appetite for ease of doing business in the insurance marketplace. It was clear to the executive leadership increased developmental velocity, unwavering focus on priorities and moving discretionary IT budget to business units control was required for success. 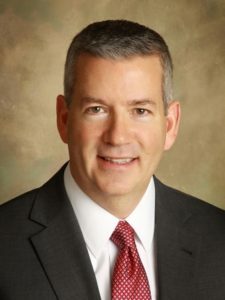 The ITA Bridge Award honors insurance IT leaders and their counterparts on the business side, according to Jim Daggett, executive director of the ITA. Business opportunities are sometimes lost and IT implementations often fail when leaders from IT and the business side fail to collaborate effectively and “bridge” the gap between technology and business, explains Daggett. “Bridging this gap was the last piece of the puzzle, combined with our strong project management office and IT teams along with our highly motivated friends on the business side of the house,” says Ouellette. The full story of Union Mutual of Vermont’s transformation will be featured in the June, 2015 edition of ITA Pro magazine, the official publication of the ITA. The Insurance Technology Association provides members with opportunities to collaborate, educate, network, share and use knowledge related to insurance technology. The ITA provides the insurance technology community with a resource solely dedicated to serving this specialized sector of the industry. Publications and educational programs created by the ITA are geared to anyone interested in or charged with evaluating, implementing or marketing insurance-specific technology systems or services.